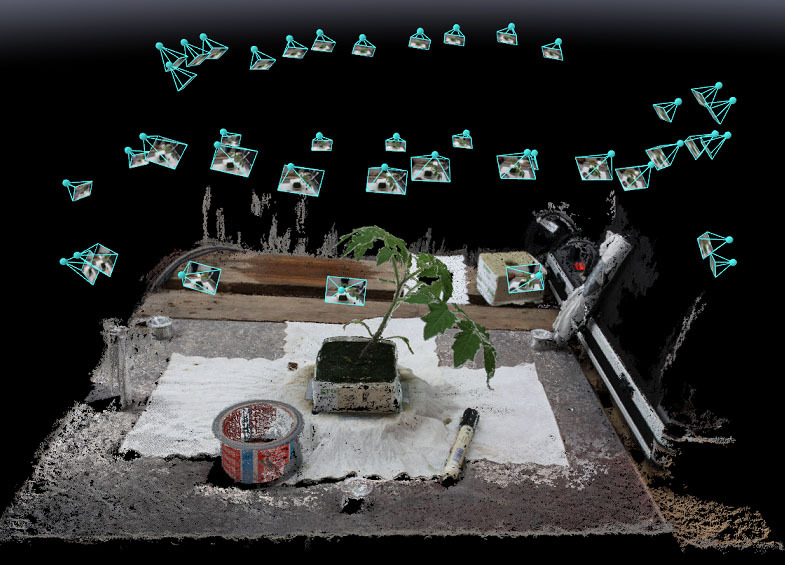 Institut für Geodäsie und Geoinformation in Germany used close-range photogrammetry technique to monitor indoor tomato plants for health. 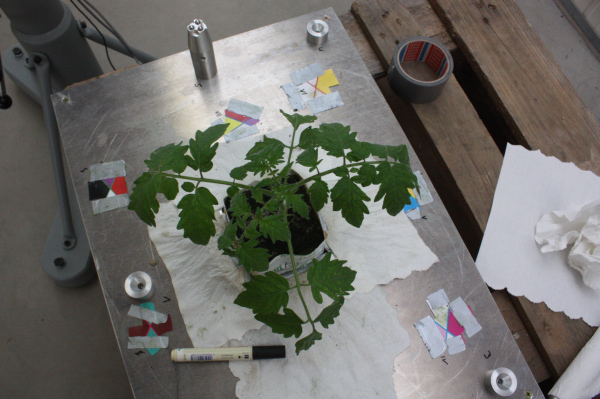 In this study, five indoor tomato plants were monitored over executive six days in order to extract plant parameters on the organ level of each plant. 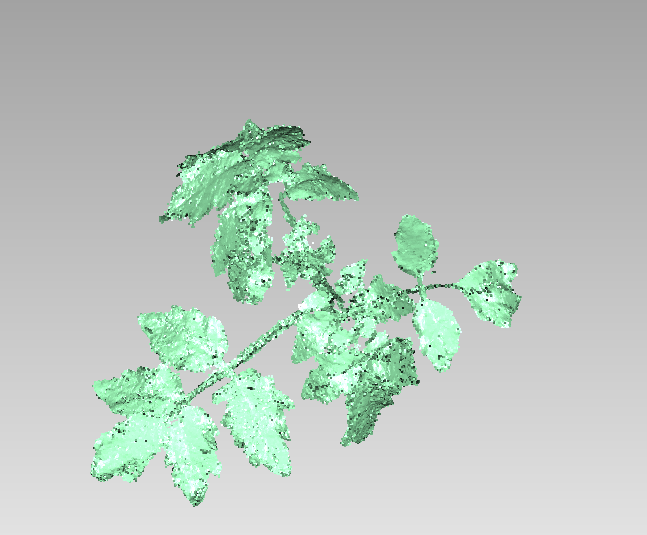 Pix4Dmapper was used to generate the dense point cloud from each plant. 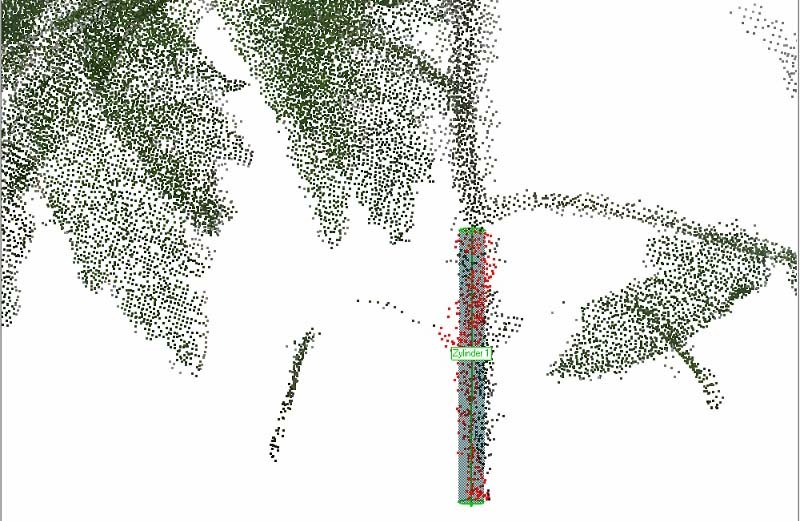 These point clouds were then used to extract plant parameters on the organ level, such as leaf area, main stem height, convex hull of the plants. 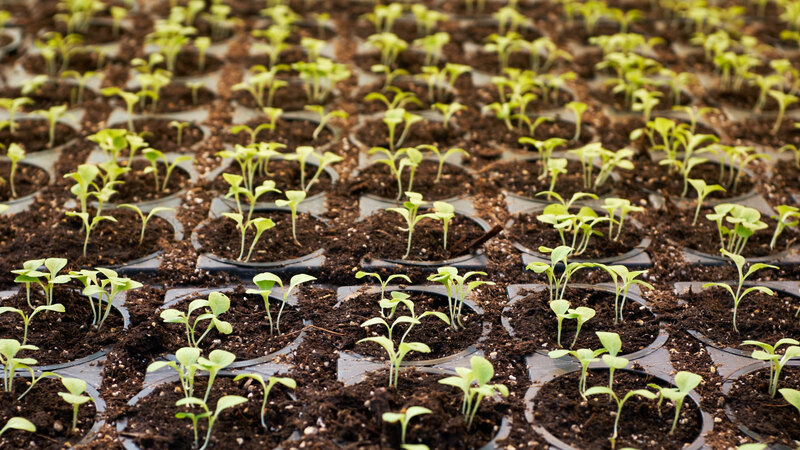 About 60 images per plant were taken with a handheld Canon EOS 450D, and all five tomato plants were monitored for executive six days. 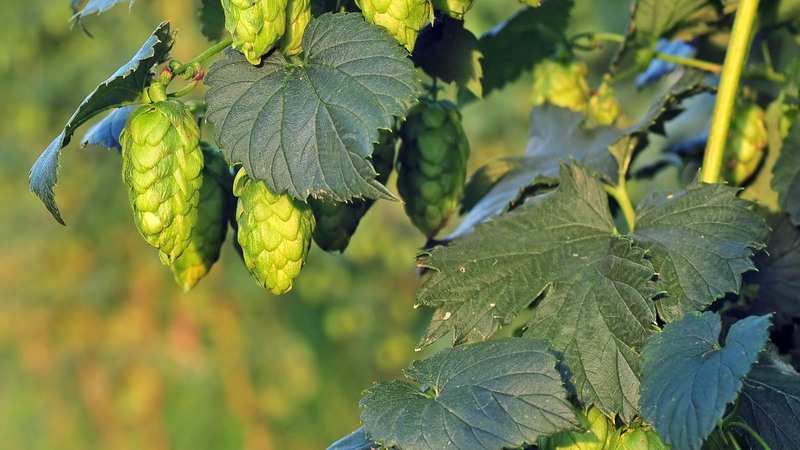 A total of around 1,800 images, 6.3 megapixel each, was acquired circularly around the plants. 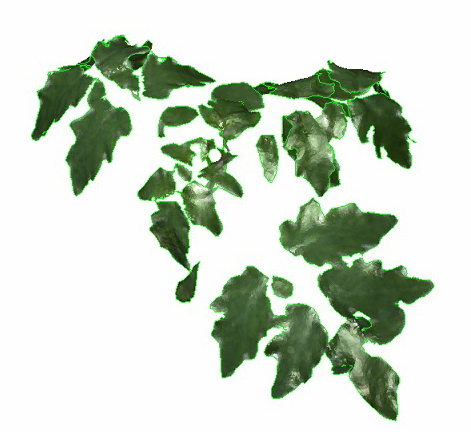 images were processed separately using Pix4Dmapper to derive a dense point cloud of each plant. 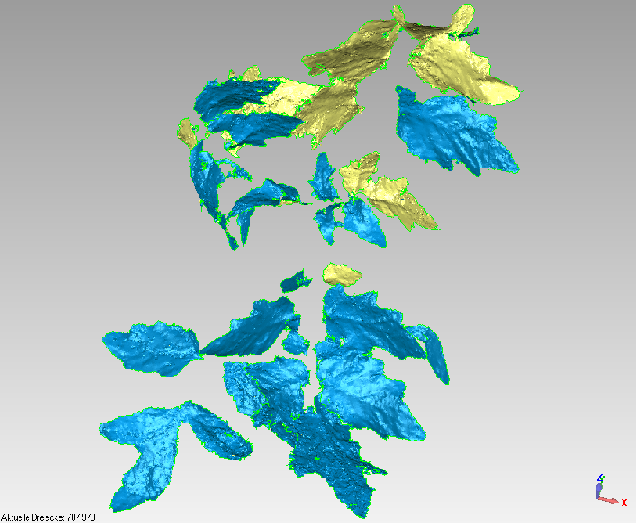 The team computed a correlation between the plant parameters from Pix4Dmapper and reference measurements obtained with a close-up laser scanner. 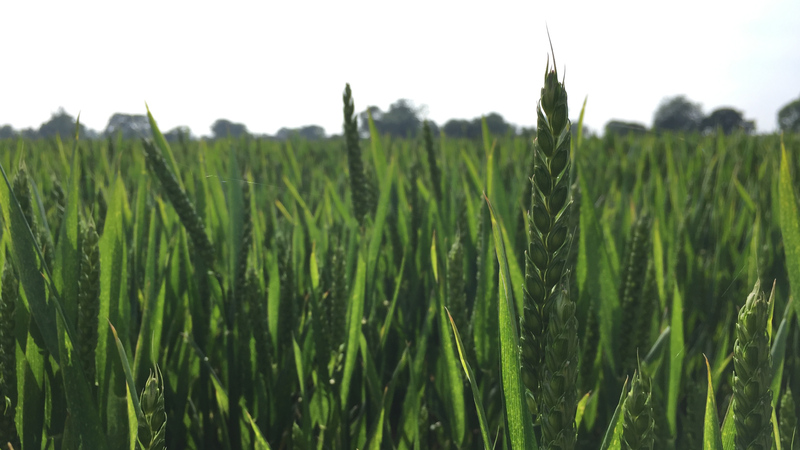 It could be shown that the two sensing methods had highly correlating results: (R2 >0.96 for all parameters), marking close-range method SfM (Structure from Motion) and MVS (Multi View Stereo) based photogrammetric methods such as Pix4Dmapper as a suitable low-cost method for plant phenotyping. 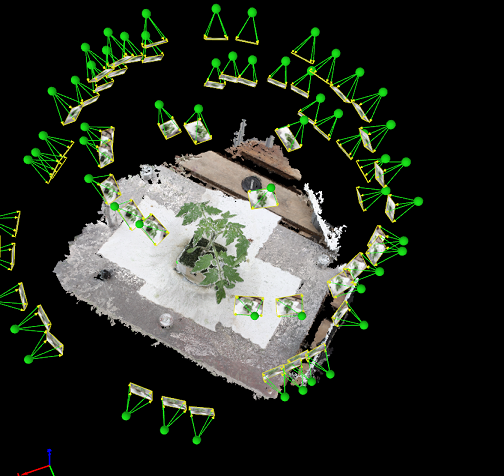 In our study, Pix4Dmapper proved to have fast processing speed, powerful image orientation algorithm and highly densified point clouds. Particularly useful features of Pix4Dmapper were the ability to take measurements by giving scales to the project and the specification of the point densification area. Professional mapping, purely from images.